Kids looking for something to do in these holidays? There’s heaps of events in New Brighton – including these daily activities for local kids organised by our Youth Workers every day at 2pm at the Library. 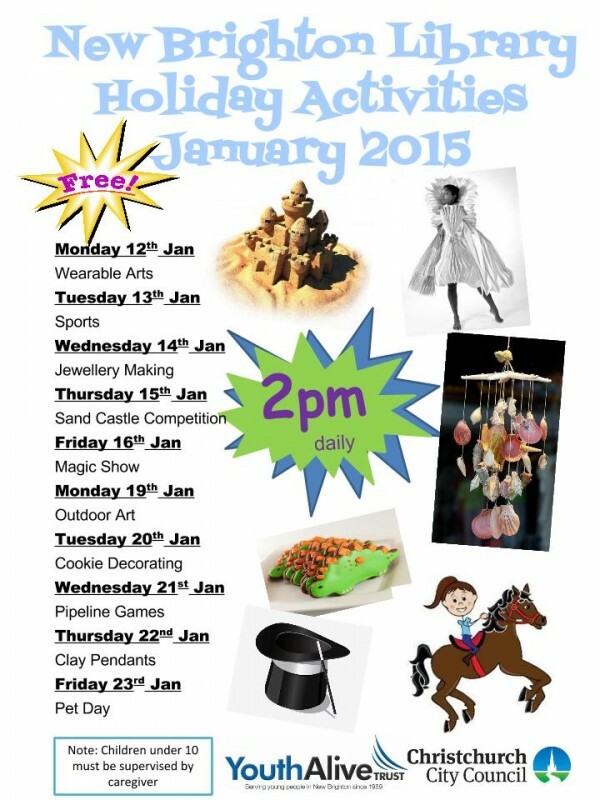 Join us for a SandCastle Competition today (with Prizes) and a Magic Show on Friday!! !